Malibu faced a little tough time in earning sales with its eighth-generation model released in 2012. It has to go through a tough time in competing with models like Toyota Camry, Honda Accord and Ford Fusion. 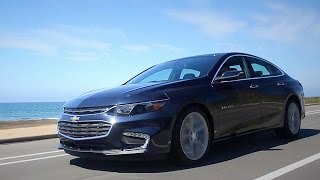 It looks like with the release of Chevrolet Malibu 2016 at the 2015 New York Auto Show, team Chevy with its mighty and sporty build is expecting little hike. 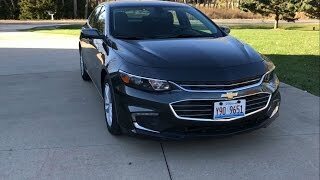 However we don’t find it false as, an artist upon every creation plans same, what we need to see here through this review of Chevrolet Malibu 2016 is that how far the expectation of Chevy people deserves to be fulfilled. Let us have a sneak. 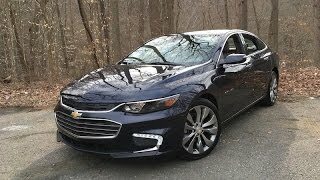 The Chevrolet Malibu 2016 interior is a high-tech introduction with 1.3 inch of more space in its legroom for rear passengers. Now to control various features a seven-inch color touchscreen has been installed and thus the center stack now comes with lesser buttons. Talking about the seven-inch touchscreen, it comes as standard on lower range Malibu 2016 models while the higher ones are mounted with eight-inch screen, which comes as an option for lower models. The upscale interior looks due to the Satin chrome accents gets the classy finish with the all new three-spoke steering wheel, with mounted major buttons on it. The most commendable feature comes under the badge of security and that’s the Teen Driver Feature. This feature enables parents to keep a track upon how their teenage kid drove the vehicle, this they get to know by tracking the car data. This feature gives all reports in context to the distance travelled, maximum speed, stability controls and antilock brake events. 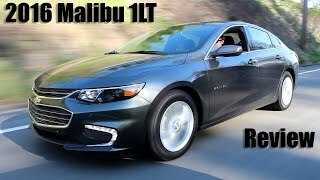 The all new Chevrolet Malibu 2016 style will blow you away. The sleek, elegant and sporty sedan with the very first sight will rule your heart. The model in its exterior holds the split front grille with a wider touch below the bow-tie emblem. However we also noticed inspirations taken from the Chevrolet Impala like, head-taillights, beltline creases and front apron. The rear of Malibu 2016 holds slimmer tail light clusters, sharp end trunk lid and a sportier bumper. 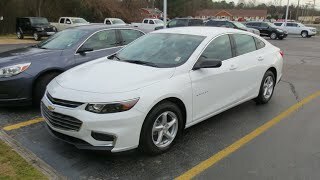 In all we found the exterior catchy for the sedan and just like company expect this model to receive comparatively higher sales and attention. As you can see that both these variant are not just powerful but are also fuel efficient. So with these specs amalgamated together we can expect a new badge for the Chevy people.